About a Chair by Hay is a chair collection with striking simplicity in design. With this collection, designer Hee Welling has reached a new level in combining shape, function, comfort, detail and aesthetics. The chairs of the About A Chair collection are meant to be simple and plain in design and are therefore easily combinable with other pieces of furniture. They fit well into a variety of surroundings and architectural styles due to their simplicity, making the chairs perfectly suitable for the object area. 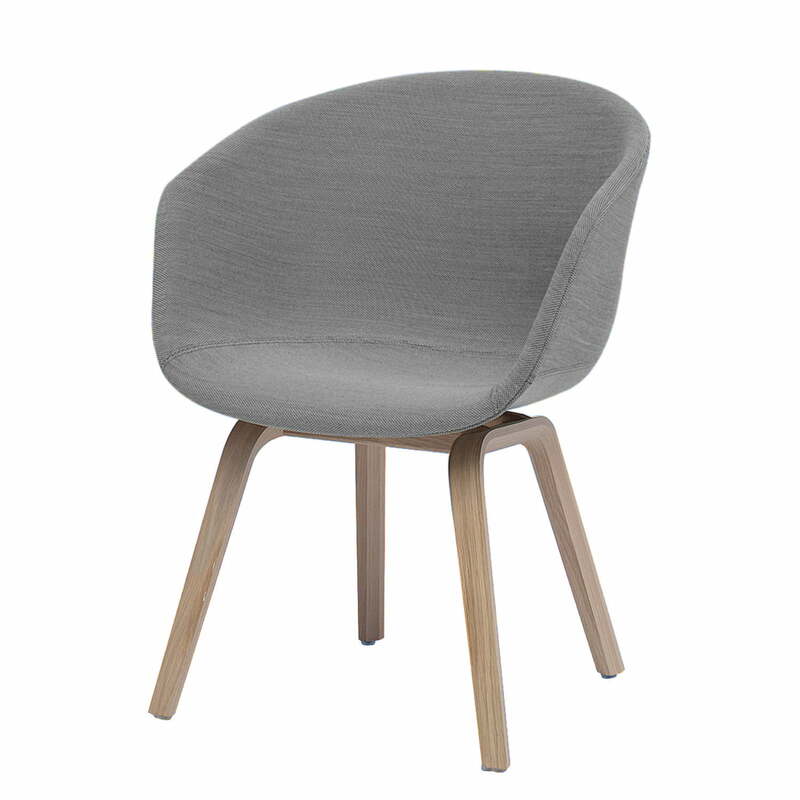 According to the idea of Hee Welling, the About a Chair chairs should be suitable for restaurants and canteens as well as for offices, for dining tables at home or for conference tables. In this context, the idea of simplicity became a guarantor for functionality and compatibility. 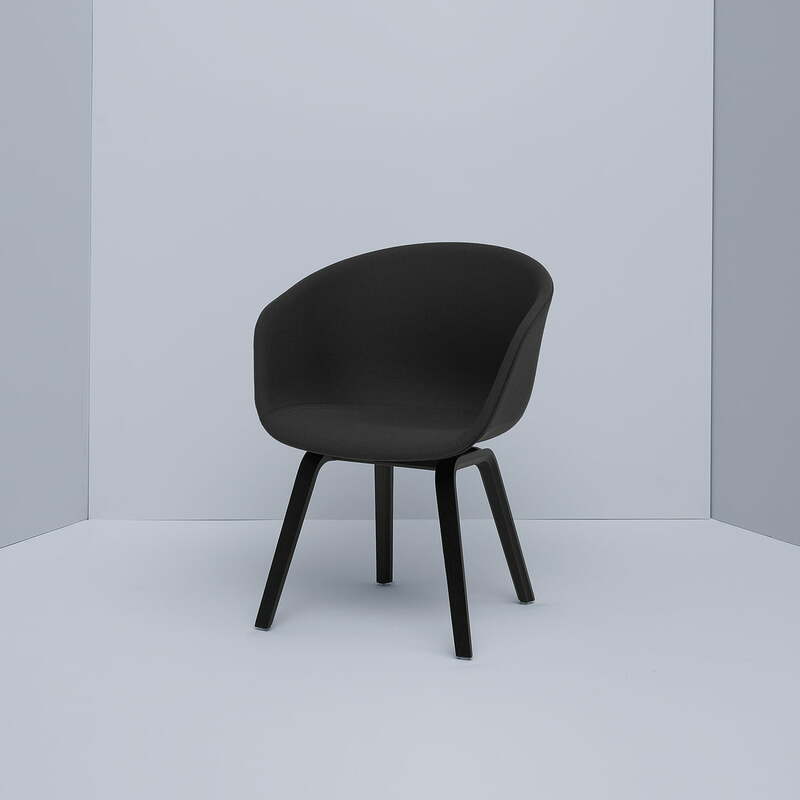 The seat with armrests of the About A Chair Low AAC 43 is made of polypropylene and is upholstered with foam according to the Öko-Tex standard. Different qualities of Kvadrat fabrics are available for covering the seats. The frame is made of beech plywood with oak wood veneer or black stained veneer in ash and it has a lower seat height (38 cm) in the Low edition, contrasting the normal AAC variants (seat height 46 cm). 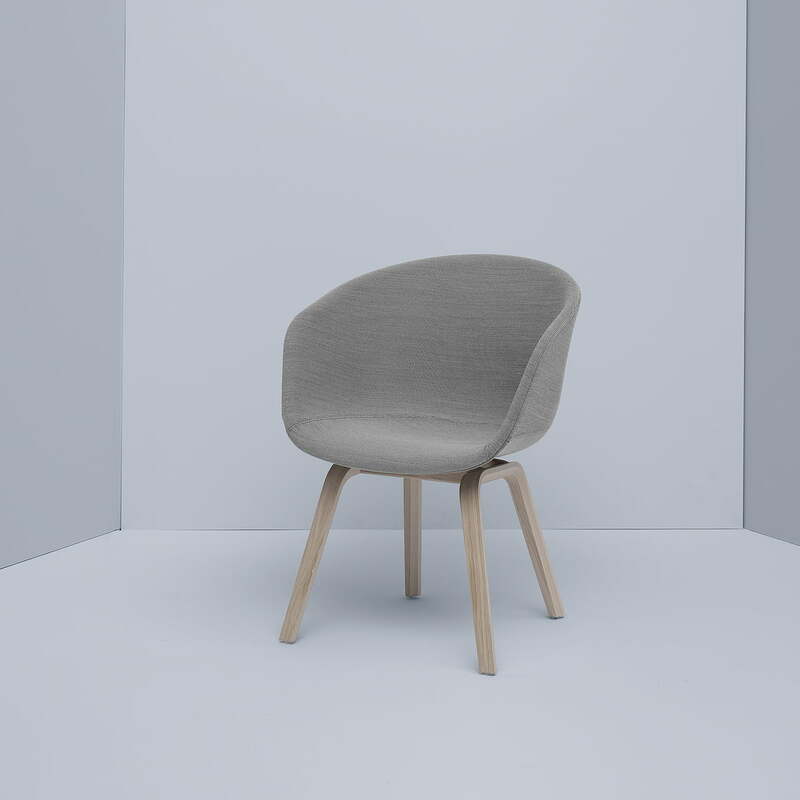 Moreover, the About a Chair by Hay is also available with other seats and frames, such as the AAC 42 with a non-upholstered seat with a low seat height or as the upholstered AAC 23 with a standard seat height of 46 cm: The seats and bases of the AAC series result in numerous combinations, which never appear coincidental or undesired. We are happy to advise you about individual configurations.